what about a werewolf manatee? Hey Rachel Arnow, I am a HUUUUUUUUUUUUGGGGGE fan of your work and love it and have been reading it for years. I have a request for you, though. 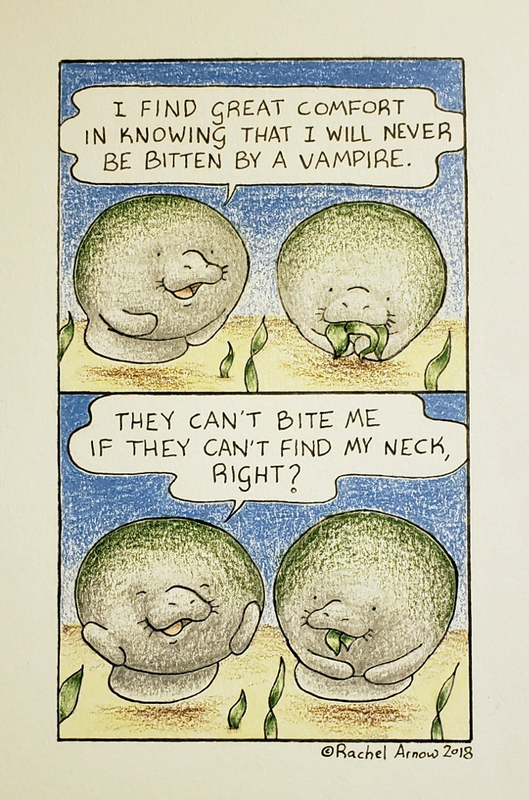 Could you please start making your manatees look more like the ones from the original comics? I know it’s a lot to ask, sorry.